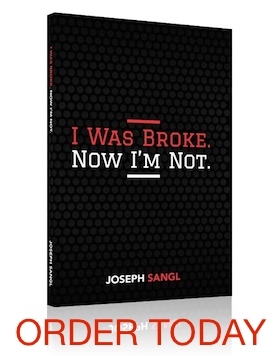 If you have read www.JosephSangl.com for any time at all, you know how visual we want you to make debt! One of the ways that debt is made VERY visual is through the use of Debt Pay-Off Spectaculars! It is a fun way to see the progress you are making on eliminating debt. With the post of Debt Pay-Off Spectaculars, Jon Smock had a FANTASTIC comment HERE. His comment was to create SAVINGS spectaculars for those who have actually eliminated their debt or are SAVING money to PAY CASH for their next purchase. Jon, what a FANTASTIC idea!!! So today, www.JosephSangl.com is proud to announce the arrival of SAVINGS SPECTACULARS! They work the same way as the Debt Spectaculars. Take the "Expected Purchase Price" and divide it by the number of squares. That will give you the value of each square! Example You want to purchase a truck with cash. The expected cost of the truck is $10,000. The Truck Savings Spectacular has 426 squares. Divide $10,000 by 426 and you get $23.47/square. Every time you save another $23.47, you will get to color in another square!!! The Savings Spectaculars and Debt Pay-Off Spectaculars are all located at the bottom of the TOOLS page. Savings Spectaculars has been created for a TRUCK, MINIVAN, FURNITURE, COLLEGE, and a TV. HAVE FUN! Any other Spectacular ideas? I know that I’ve emailed you about it before, but what about a tax payoff spectacular? Or savings spectaculars for HDTV. Also, I am saving money right now to buy an XBOX 360. It would be cool to know how much of it I “owned” in advance. Thanks for all the cool visuals. My wife and I love them. A “Car” Pay-off and Saving Spectacular has been added to the TOOLS page! How about one with a hospital or doctor on it for medical bills? Love the illustrated SAVINGS SPECTACULARS! Group them together on one page, and I will link them to my financial website. One more day at the “Thrive Conference” in Portland, Oregon, then off to “Wyndham Grand Bay Hotel Isla Navidad” in Mexico for 10 days for lots of father/son bonding and fun in the sun. I just made my first Savings/Pay-Off Spectacular! I wanted to share it with you, in case you wanted to use it. I designed it to act as an Emergency Fund Saver.